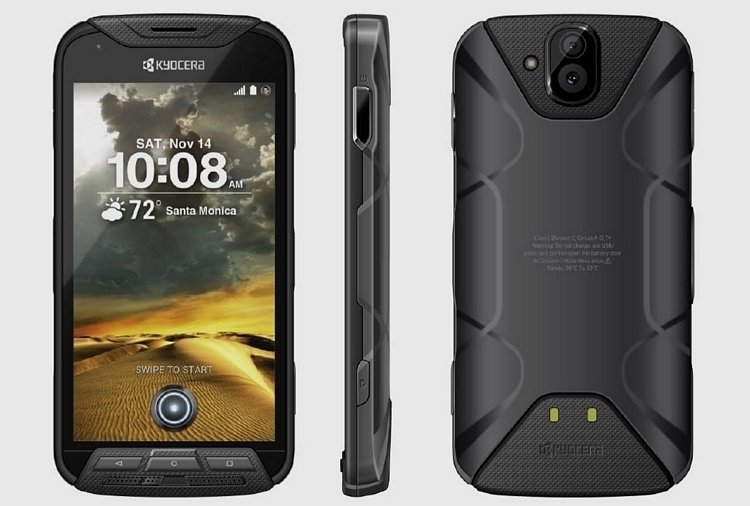 Kyocera’s ruggedized DuraForce Pro smartphone is officially making its way to T-Mobile. The smartphone had been exclusively available on Verizon, Sprint, and AT&T for quite some time now, but T-Mobile is late to the party. Its price is set at $425 total or $17 down and $17 per month for 24 months. On the T-Mobile variant of the smartphone, this special camera includes an Action Overlay mode, enabling you to record video ‘along with a heads-up display of data options including distance traveled, speed, altitude, g-force, date stamp and elapsed time’. The most notable feature of this smartphone is its rugged body, that’s IP68-rated to resist dust and also submerged in up to 2m/6.5ft of water for up to thirty minutes. It also meets Military Standard 810G for protection against dust, vibration, shock, blowing rain, extreme temperatures, low pressure, salt fog, solar radiation, immersion, humidity, freezing rain, and temperature shock. The specs of the Kyocera DuraForce Pro include a 5.0-inch 1920 × 1080 touchscreen display, 5MP front-facing camera, a 13MP rear camera, and a Super Wide View HD Action Camera. There is 32 gigabyte of RAM also a microSD slot for more storage, an octa-core Snapdragon 617 processor, as well as a fingerprint reader. This Android 6.0.1 smartphone is powered a 3240mAh battery, and wireless charging is included if you ever get tired of physically plugging the DuraForce Pro in to charge. Starting now, T-Mobile subscribers can get this smatphone for a retail price of $425. The price also includes a two year warranty from Kyocera. If you are really interested in buying Kyocera DuraForce PRO, you can easily find it in stores nationwide, also purchase online.